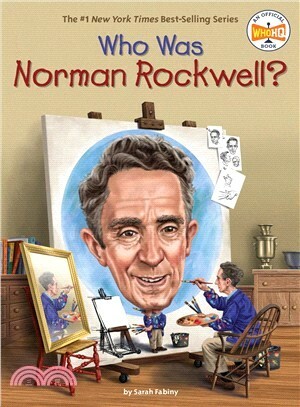 Brush up your knowledge on popular American painter and illustrator Norman Rockwell with this exciting Who Was? title. Norman Rockwell often painted what he saw around him in nostalgic and humorous ways. After hearing President Franklin Roosevelt's address to Congress in 1943, he was inspired to create paintings that described the principles for universal rights: four paintings that portray iconic images of the American experience. Over the course of his lifetime, he painted 322 covers for the Saturday Evening Post. Of his work, he has said: "Maybe as I grew up and found the world wasn't the perfect place I thought it to be, I consciously decided that if it wasn't an ideal world, it should be, and so painted only the ideal aspects of it."